These words stuck with me long after the credits rolled and a hearty applause brought Oliver to the stage to answer questions about her film. I too have spent time wondering if we’re losing that wild sense of self, and if so, how do we get it back? I could sense the excitement in the crowd around me during Oliver’s film and every film that preceded and followed it. If we are losing the wild within us, I thought to myself, then gatherings like 5Point might be the perfect place to find it again; places where motivated lovers of the outdoors can connect, dream up the next adventure, and find a way to make it happen. Oliver’s “Being Here” embodied that ideal, and maybe that’s why it won the People’s Choice award during this year’s festival. 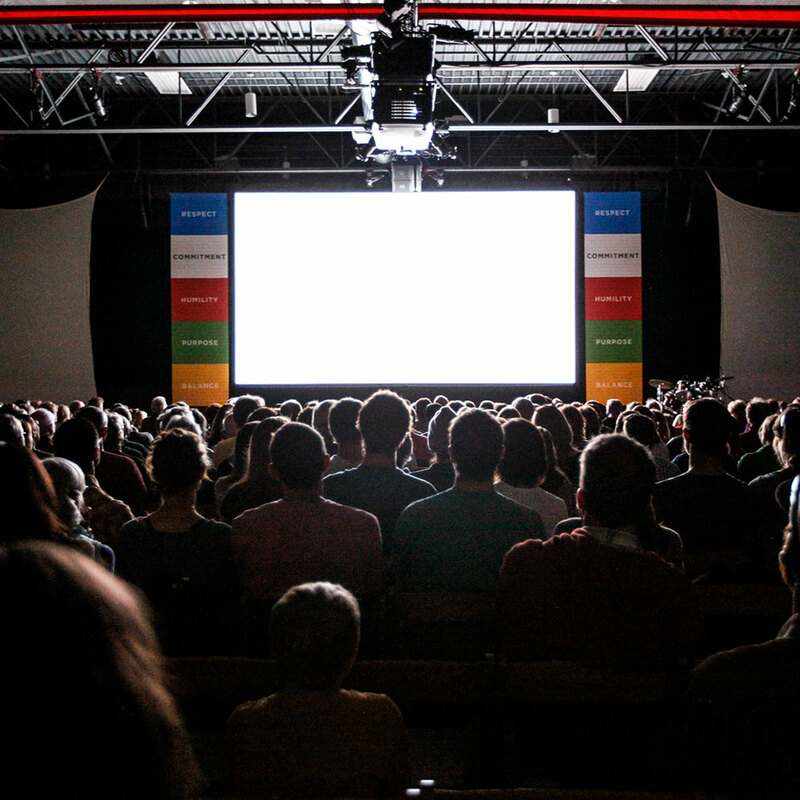 The 5Point Film Festival is a three-day event held every spring in Carbondale, and is an inspiring aggregation of powerful films and community events. The festival was founded nine years ago by Carbondale local, Julie Kennedy, as a means of inspiring people through film, with special attention paid to five core themes: respect, commitment, humility, purpose, and balance. These five themes are the origin of the festival’s name and it was clear, even after the first night in Carbondale, the five points of 5point were paramount. Each night more than a dozen short films ranging from four to 30 minutes in length would play on the big screen. Some were accompanied by short interviews with the filmmakers and starring athletes. Every interview was a portrait of humility and passion, and their perspective was enough to light a fire under any could-be adventurer. Kennedy recently retired, leaving the show in the capable hands of its Executive Director and part time rockstar, Sarah Wood. “We try to erase the excuses by showing you examples and stories of folks who are overcoming adversities, that make you think, If they can do it, I can do it, and why aren’t I chasing this thing that I care about a lot,” said Wood. Wood is the kind of event organizer who walks the walk. As if successfully running a three-day festival weren’t enough, she kept the adventure rolling by organizing a midnight group mountain bike ride on the first night of the festival; belting out 70’s and 80’s smooth rock covers with The Davenports during the after party on night two; and finishing the weekend with an impromptu midnight dodgeball tournament. If that doesn’t sound like an average festival itinerary, it’s because 5Point is not your average film festival. Although the films themselves sell out to a few hundred viewers each night, Wood estimates that 5Point influences closer to 5,000 people over the weekend with the totality of its events and community involvement. Van life rallies, river clean-ups, community brunches, dog-powered sports demos, and ice cream picnics are just a few of the events open to the public during the festival. In addition to the lengthy list of official festival events, the opportunities at 5Point are almost endless. 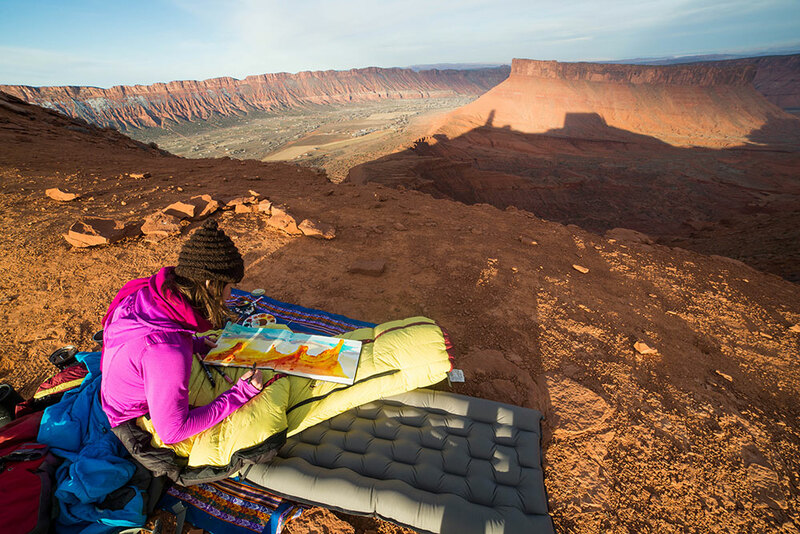 Carbondale is a perfect base-camp for adventure, and the early hours before the films start are best spent taking advantage of the outdoor paradise. On my first morning in town, I joined some new friends in a paddleboarding excursion down the Colorado River, led by the Glenwood Adventure Company; the next day I found myself fly fishing on the Roaring Fork River less than five minutes from the festival venue in the center of town. Other festival goers spent their mornings skiing the Colorado backcountry, climbing the world-class Rifle Mountain Park, mountain biking the red sandstone hills around town, and simply enjoying the view. This year 5Point will be bringing their full display of films to Bellingham, Washington, in August; Asheville, North Carolina, in October; and Duluth, Minnesota, next February. Each location was carefully chosen for its ability to engage viewers and inspire adventure, and each new event will feature new content in combination with the films shown in Carbondale this April.